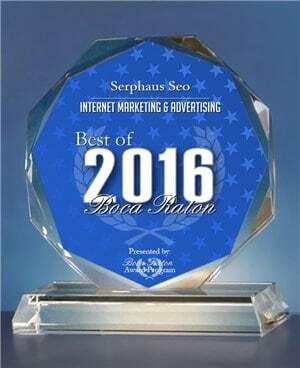 Even though SerpHaus SEO is headquartered in sunny South Florida the SEO and web design services we provide are not limited by bricks and mortar. As a matter of fact, more than 95% of our clients are located outside of the state and all across the U.S. This is a warning to everyone that has an online business, an effective SEO strategy is a must! If you have any hesitation you would be making an enormous mistake by not leveraging the benefits of an SEO expert. The truth is unless your website is properly optimized both on and off-page youâ€™re likely not ranking within Googleâ€™s first page results, which means you are unquestionably losing money every day. There are well-over 2 billion people online.Â At least 93% of all online activitiesÂ start on a search engine, mostly Google. There are 40,000 searches every second, andÂ 3.5 billion searchesÂ per day. Which means that there are millions of opportunities for your business to be found. One of the most important benefits of SEO is that your potential customers are using search engines such as Google each and every day. Traffic that begins with a search for a particular product or service is the highest quality traffic. Why? Because people are actually searching for the product or service that you provide so you do not need advertisements to persuade people to buy, because the people searching are already interested in your products and services. This is why theÂ SEO industry is projected to hit $80 billion by 2020. SEO traffic is much more likely to convert than any other sources of traffic. Itâ€™s a fact that search traffic has theÂ highest conversion ratesÂ for most if not all websites. By positioning yourself in the #1 â€œcovetedâ€ position on Google you are positioning your business to win! When your website is in the #1 position on the first page of search results without paying for ads, you earn the trust and confidence of potential customers. Web users will interpret your good visibility on Google to mean that Google recommends you for your target search terms. Research shows that more than 75% of users never scroll past the first page of search results with many never going past the first five results. This statistic is also not surprising, given how quick we are to scan our results, click a few links and be on our way. Now, more than ever, it is vital to continue creating compelling, educational content that people love and share. SEO is not a fairy tale. Businesses will increase their leads and sales if they are offering a worthwhile product or service. One of our small eCommerce clients generated overÂ $2,737,454.89Â in sales during 2017. Nevertheless, a business must be willing to allocate the funds necessary to achieve these results. A winning SEO strategy will without doubt lead to much higher conversions for businesses both small and large. The bottom-line is that the majority of web users trust Google. These people use it each and every day to find whatever it is they are looking for, products, services or information. Therefore, by ranking so high on Google, your business will immediately build trust and credibility with your audience. As a matter of fact,Â 77% of search engine clicksÂ occur on the first organic listing. SEO is a long-term strategy. It can take as much as 3-6 months to see ideal rankings. However, just as it takes time to move up the rankings, it takes less time to move down the rankings. Once you are placed in top positions, you will need to maintain a solid SEO strategy. The reasons an ongoing SEO campaign is necessary are many but primarily it is that your competitors will also want to be #1 along with the fact Google continues to change their algorithm these reasons alone require constant oversight and updates. Your customers are using search engines to research. They use their findings to help them make informed decisions on available options. Achieving these dominate search engine results through SEO allows you to educate this potential pool of customers. This top position indirectly builds trust and confidence but even more importantly helps them make an informed decision. SEO results significantly influence a customerâ€™s purchasing decisions. Why? because of the trust and credibility mentioned in #10? Employing an effective SEO campaign will improve your website traffic and conversions by significantly influencing the purchasing decisions of those needing your products or services. Conversions aside, SEO will also build your brand/name recognition. In other words, SEO will help people become aware of your brand. This increases customer attribution, attribution is the amount of times your viewers see your brand. The more times they see your business, the more likely they are to purchase from your business. Strong rankings will help you dramatically increase potential buyers. Awareness is important because your website visitors are not always going to be ready to purchase. However, by being aware of your brand, your name and website they may likely purchase in the near future. Page results dominates paid advertising. This is because organic listingsÂ receive 67.60% of all clicks. Up to 80% of people ignore Google-sponsored ads meaning they are inclined to skip over the paid or sponsored ads. And we expect this number to continue to climb in the future. This is most likely due to their trust in the results Google returns. The increase in traffic is to be expected when investing in a solid SEO strategy, you will gain more traffic than the advertisers on the same search terms. 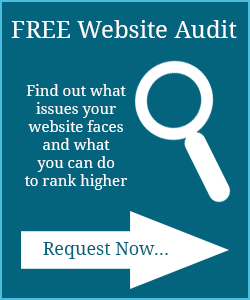 These first page rankings will literally grow your business! Countless customers do online research before actually visiting a business? Due to the ever-increasing use of smart phones and tablets most people do their research online. Itâ€™s this research that leads to offline sales by either visiting your place of business or by simply making a phone call to actually buy your products or services. So, SEO is also a major contributor to driving offline sales. Itâ€™s an easy decision, a successful SEO strategy is much more cost-effective than any sort of paid advertising. Itâ€™s a no-brainer, once you are dominating the search engine results, you do not have any need for paid advertising. Eat or be eaten, itâ€™s a forgone conclusion. Online customers start by typing in a search term in Google, more likely than not your competitors are already using an SEO professional to grow their business. So, whether itâ€™s now or in the very near future, if you donâ€™t use SEO to grow your business, you will no longer have a business! If you operate a small business, you will quickly find that you are not likely to outspend your larger competitors in AdWords. However, an effective SEO strategy will be your way to gain the organic rankings without having to outspend your larger competition. You gain market share by being first. If you are the first option, your customers will never know about the hundreds of alternatives. Unless, they scroll to page 10 of Google. However, we know that will not happen. Why? BecauseÂ more than 75% of all users neverÂ scroll past the first page of search results. Once you have achieved the sought-after first page results for your existing products or services you can expand your reach for additional search terms. This can be new products or new services you offer. As you enter these new markets you can rely on your SEO professional to achieve these additional first page results resulting in qualified traffic to your new products and/or services. As you achieve first page search results the value of your business increases. Letâ€™s say you decide to sell your business, donâ€™t you think many buyers will find these first page rankings as a valuable intangible asset, of course they will! SEO is online marketing. All online marketing activities including web design, content andÂ social media marketing in some way shape or form contribute to your Google rankings. It will also increase your social media followers and newsletter subscribers. 22. SEO spending is growing for one reason, it works! SEO spending is forecasted toÂ increase to $80 billionÂ by 2020. Your business still has an opportunity to dominate the Google search results, but you better consider doing so before it becomes too saturated the cost is prohibitive. The number of mobile users continues to increase making it likely that the number of mobile users searching the internet will continue to increase. By properly optimizing your website for mobile SEO, Google will favor your website when searches are performed by mobile users. SEO is search term (keyword) based. That means that search results appear based on the search terms people put into a Google search bar. Whatâ€™s the advantage? You reach the people who are looking for exactly what you offer. This is one of the primarily reasons SEO delivers the most qualified traffic to your website. Why? Because these types of visitors are not visiting for fun they are people with real problems searching for real solutions and they clicked through to your website because they believe that is the place they can find a solution. As long as you are responsive and understand your customersâ€™ needs, you will achieve great success through SEO. 26. Do SEO ranking results last forever? Once you achieve the top results you must continue to maintain an SEO strategy that will keep you there.Â Remember if you donâ€™t your competitors will! 27. If you are tired of cold calling or paid advertising that results in little if any results? Invest in SEO. SEO can actually double, triple, or even quadruple your sales. Why? Because achieving top search results exposes you to individuals who are looking for you. Since the people using the web can be from any city, state or even another country you are able to easily expand into these cities, states, and even other parts of the world with an effective SEO strategy. The world is your marketplace with an effective SEO strategy. It certainly is more affordable than pay per click advertising to increase your conversions.Â SEO pricing varies and in most instances, range from $500-$3500 per month but it really depends on several factors including the amount of search terms, the level of competition for those keywords and the amount of assets necessary to bring your website to the #1 position. That being said, once you are ranked #1 the return on your investment is priceless. In summarizing the overall benefits an SEO professional can provide to you are endless. Itâ€™s one of if not the smartest marketing investments any business owner can make. Itâ€™s an invaluable asset that will keep on giving for the long-term. It continues to generate traffic, leads, and sales 24/7 and 365 days a year. Think about it, your customers are searching for you right now! Can you be found? If you want to grow your business and increase your sales, contact us today!